Godson Tapes Pvt Ltd. is one of the pioneers of tapes manufacturers providing a range of adhesive tapes, self adhesive tapes, non adhesive tapes, adhesive labels and insulation materials. 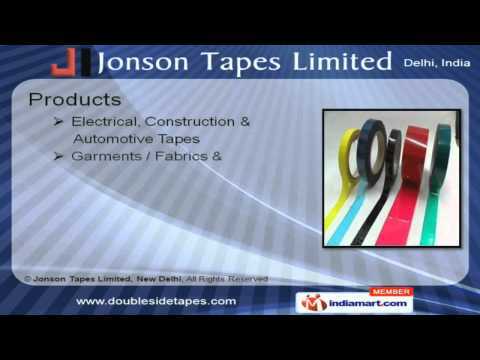 Operating from India since 2007, we at “Jonson Tapes” is a well established and reliable tapes manufacturers. 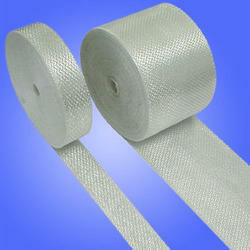 Supplying adhesive tapes, adhesive labels, self adhesive tapes and non adhesive tapes and insulation materials. 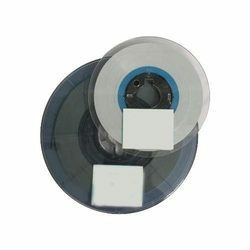 Moreover, our tapes are developed using hi-technology machines, which makes our products good to use and with good deigning. Our manufactured adhesive tapes, adhesive labels, self adhesive tapes and non adhesive tapes and insulation materials are made up of quality raw materials, which makes them durable and quite functional for day to day use. Our diligent team has helped us ensure top-notch quality in our range, which has helped us pitch a broad client base across the country. Further, we aim to be the market leaders in the coming years through our hard working and possible efforts to enhance the quality as well as the quantity of the output. Moreover, we also offer customization in our products as per the clients specific requirements. We believe that quality can't be taken guaranteed therefore, all our products are made under the strict guidance of professionals. Moreover, all the components are produced by "Process Sheets" at each and every stage of operation to achieve quality products. Moreover, our range of products are constantly tested by experienced professionals from the time of procurement of raw materials till final dispatch. We possess a state-of- the-art infrastructural base that is backed by latest process technologies available in the market. Our highly committed workforce have always been the pillars of our strength. We boast of our research and development team who make every effort to manufacture innovative products. Further, we also work with an open mind to handle all kinds of suggestions related to the enhancement of our quality industrial tapes.